Fiona Forsyth (@bendigolioness) is another fabulously talented local! 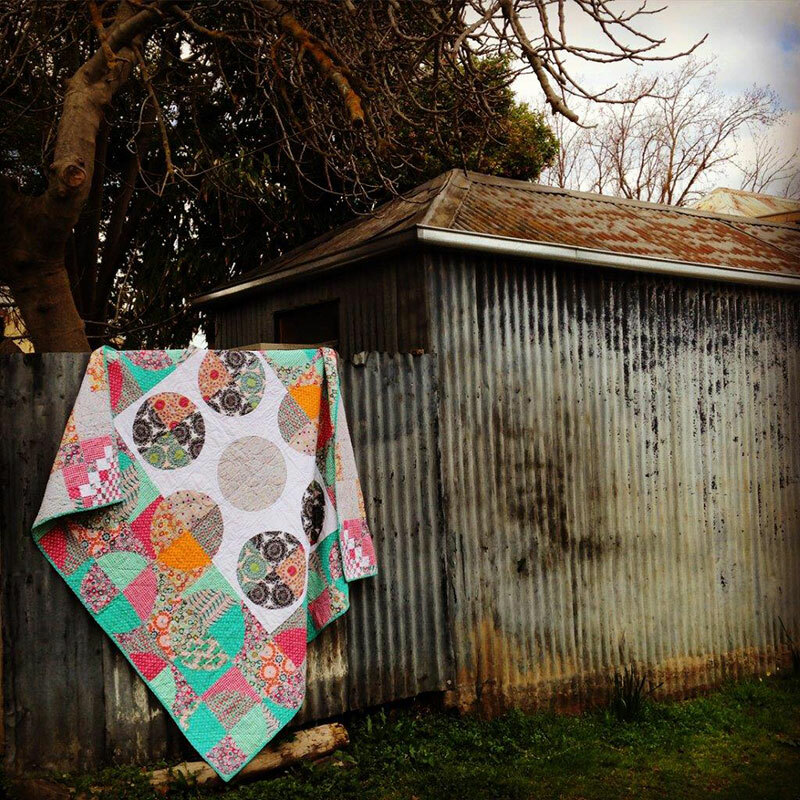 Her IG posts (and her blog posts) about her beloved cats, secret squirrel sewing and of course her amazing hand piecing / hexie quilts are entertaining and inspiring! Fiona suffers from a number of health issues and quilting is her therapy and happy pastime. We, her public, get just as much enjoyment out of her quilting as she does! I found out recently that she has only been quilting for a few years!! 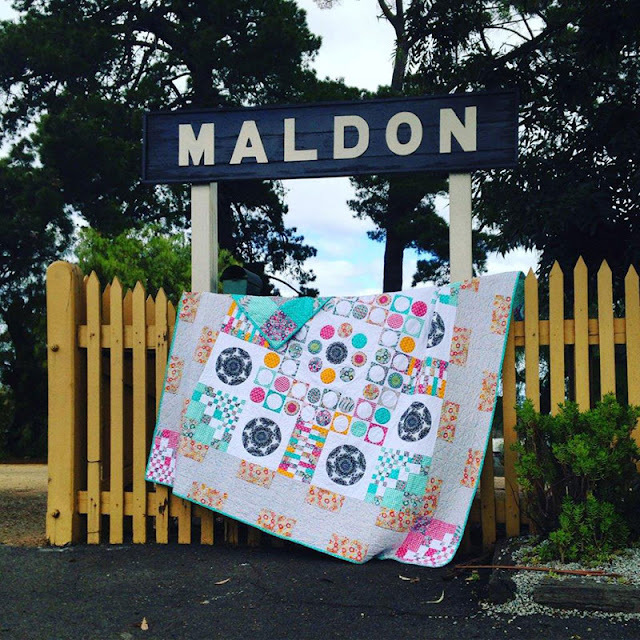 Fiona took some pictures of her “Millefiori Mystery Quilt" (pattern by Sarah Fielke) out in the ‘wild’ in Maldon – a gorgeous historic town nearby. It is a double sided quilt (I love them! ), the back is a "Drunkard's Path" curve. See Fiona's blog post for more pictures! 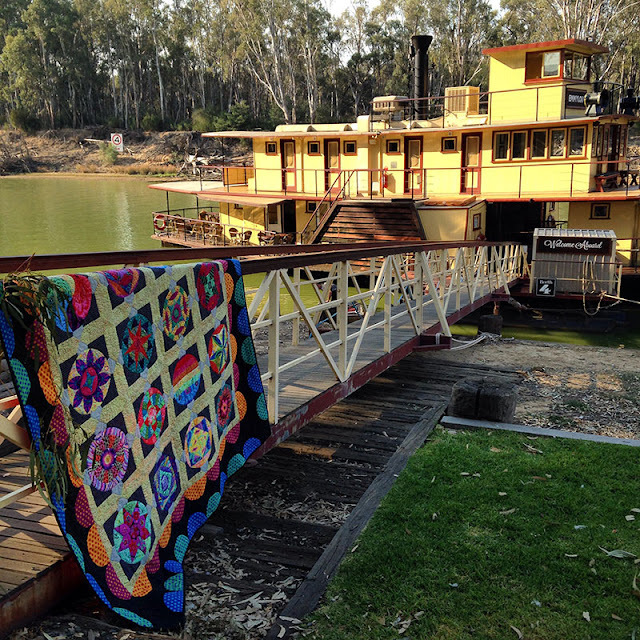 Fiona also recently finished the Circle Game (pattern by Jen Kingwell) and took it on a small holiday up to Echuca – a pretty town on the Murray River. Have you ever taken one of your quilts on a holiday?